When I picked The Usual Suspects for the Blind Spot series I did so hesitantly. Obviously the scandals with director Bryan Singer and actor Kevin Spacey make it somewhat of a controversial choice. Well, as someone who tries to always separate the art from the artist I thought it would be a good test case and since I knew it was available for free on Cinemax this month I wouldn’t be giving them any extra money to purchase/rent it. All that said, what did I think of this classic neo-noir mystery film? Unfortunately I walked away feeling very underwhelmed by most aspects of it. The Usual Suspects proved to be an overwrought, cluttered and dull film. The story begins with a criminal named Keaton (Gabriel Byrne) meeting his maker by the hands of a mastermind named “Keyser Soze”. This ultimate criminal has killed 27 people, including Keaton and the police are trying to put the pieces together and figure out who he could be and what his motivations are. Then the narrative goes back 6 weeks, and we meet 5 suspects arrested in a police lineup (Byrne, Stephen Baldwin, Benicio del Toro, Kevin Pollak and Kevin Spacey). Spacey plays a man nicknamed “Verbal” who has cerebral palsy and walks with a limp. The detective, Kujan, doing the interrogating, is played by Chazz Palminteri. The setup for The Usual Suspects is fine for a mystery. You have a crime committed, several suspects and an officer looking into the case. I even thought the big reveal at the end was fun enough and surprising. Unfortunately the in-between stuff is so cluttered it failed to engage me. There are too many characters and they all have motivations, and I guess we are supposed to love them as a scrappy band of criminals, but it was too much. I felt bored because we’d be spending time with characters I didn’t know, doing things I didn’t care about and that didn’t seem to relate to the over-all case well. The film should have been about the search for Keyser Soze but it moves away from that so often with this bland story of a giant cocaine heist it is frustrating. There is also a character named Mr Kobayashi (Pete Postlethwaite) that is under-developed and at best a distraction from the search for Keyser Soze. I guess we are supposed to think they are one and the same but that was clearly not the case so it wasn’t a very good red herring. The only compelling scenes in the film are between Kujan and Verbal. However, because the movie keeps getting distracted from these 2 with stuff I didn’t care about, they weren’t as effective as they otherwise could have been. Kevin Spacey does a good job with the dialogue (and if anything his current problems add a level of creepiness to the role, which is mildly interesting) but while impressive dialogue performance, it doesn’t build the case very well or create much of a mystery. It’s just two guys shouting a lot and explaining things I wish the movie had shown. Roger Ebert was also not a fan of this movie and he also complains about the cluttered script in his review: “Once again, my comprehension began to slip, and finally I wrote down: “To the degree that I do understand, I don’t care.” I completely agree. The characters aren’t interesting and the mystery isn’t well done, making it a rather bland experience. It’s certainly one I will never watch again. I should add this film definitely earns its R rating with language and violence. Let me start off this review by mentioning a personal accomplishment that came along with seeing the film. Captain Marvel, the latest film in the Marvel Cinematic Universe, is the first time I was able to see a Disney film as a member of the press. This has long been a dream of mine as Disney does not offer early screening opportunities for their films like the other studios do (I used to have to enter a lottery and then wait 2-4 hours before the said film to hopefully be admitted). When I got added to rottentomatoes it gave me the clout to apply and be accepted as a full member of press and that meant I could go to the Disney early screenings! Yay! It’s a dream come true! Does that mean I give this movie a pass? Nope. If anything I was very conscientious of not doing so and may have been more critical than if I was just watching an every day movie. All that out of the way, what did I think about Captain Marvel? As an origin story for a superhero movie I quite enjoyed it. It’s not without flaws but overall I had a good time and it did a particularly good job pumping me up for Avengers: Endgame coming up next, which is part of its job. Captain Marvel starts off with her being trained as part of the Kree people who’s mission is to fight and defeat the Skrulls (they kind of reminded me of klingons in Star Trek). As she trains with Jude Law’s Yon-Rogg, we see flashes into her past: a past that includes a life on earth as air force pilot Carol Danvers. Eventually she ends up back on earth and most of the movie is a mystery as she figures out who she is and what she is fighting for. Along the way we get to meet new characters like her best friend Maria (Lashana Lynch) and have fun with old favorites like Agent Coulson (Clark Gregg) and of course Nick Fury (Samuel L Jackson). The de-aging cgi has gotten really good with some of these characters! A mixture of old and new characters works to Captain Marvel‘s benefit because the plot can get a little muddled with too much exposition particularly in the 2nd act. I started to get worried the movie was going to become a slog but it manages to pull everything together for a rousing final act (and a particularly great mid and post-credit sequence). However, there are definitely sections where it gets lost in too much plot and not enough fun. I’m not sure how most will take them, but I really enjoyed all the 90s references. In particular, the use of music cues was very well done. Some may find them too on the nose but it worked for me. There is also some dialogue that was very cheesy, but I like a little cheese in my comic book movies, so I enjoyed it. It reminded me of a cross between the first Guardians of the Galaxy and a phase 1 MCU movie like Thor. Unfortunately, Captain Marvel does not have near the gravitas or moral weight of Wonder Woman (I never cried even once), but I don’t think it needed too. We will get all of that in spades in Endgame. The job of Captain Marvel is to introduce us to the character, provide some laughs/action and get us pumped for Avengers: End Game. In my opinion, it totally accomplished this task and was a good time at the movies. To Dust is written and directed by Shawn Snyder and it tells the story of a orthodox Jewish man named Shmuel (Géza Röhrig) who is finding it difficult to find closure over the loss of his wife. In particular, he has a bad dream about her big toe not decomposing like the religious people tell him it should. He is plagued by worry of what happens to her soul after death and if the burial is done incorrectly is she damned for good? When Shmuel finds his clergy to be less than helpful he turns to a science professor named Albert (Mathew Broderick). You get the feeling Albert leads a pretty boring, sad life, which probably allows him to pay attention to Shmuel’s insane requests. Pitched as a science experiment the 2 men attempt to discover what happens to the body when it decays. They start with a pig and then go from there! These 2 have a nice chemistry together and for the most part I bought their growing friendship. I also liked the nuanced look at religion, grief and science: None of which can bring back Shmuel’s wife or make his pain any less heart crushing. What perhaps doesn’t work so well in To Dust is the more broad attempts at comedy. It gets a little silly at spots and for a film that takes on such deep themes it feels tonally off. Also the director spares the viewer no part of the decaying process. It’s very gross to watch time-lapse photography of a human toe decaying or a pig going through each stage of becoming compost. Yuck! I’m sure that disgust is intentional but it was a little much. If you are at all squeamish than I’d stay away. There is also a lot of profanity. All that said, if you are looking for a film about an unlikely friendship give To Dust a shot. It’s not perfect but what it gets right is quite sweet and lovely. More than any other genre I find writing a review for a horror movie to be particularly difficult. With my relative newness to the genre I don’t have the perspective to know what concepts are fresh and what tropes have been done a million times. For example, people complain about jump scares and I suppose I can see a very bad one but for the most part I think they are fun and they make me jump at my silly startled reaction (I’m an easy scare). I say all this to explain why my review for Greta may or may not be different than many others you read (I saw it at an early screening so I do not know what others will think). All I can say is that little old me, the horror amateur, thought it was a great time and very scary! It’s a simple story about a girl named Frances (Chloe Grace Moretz) living in NYC who one day finds a purse lost on the subway. Trying to be a kind soul she returns the purse to the owner who happens to be a seemingly kind older woman named Greta (the amazing Isabelle Huppert!). She serves her tea and they bond over their mutual loss (Greta a lost daughter, Frances her Mother) and love of music. This innocent lunch leads to more contact and things seem to be going great but all is not as it seems to be with sweet little Greta…it turns out she’s a crazy person and most of the movie is a game of cat and mouse between Greta and Frances with things getting very desperate for poor Frances! The thing that makes Greta work so well is it builds tension slowly and it preys on our human desires to trust (especially sweet old ladies) and our fear of loneliness. Moretz does a good job showing the lonely and desperate for attention side of Frances and who can’t relate to that? As a single woman living on my own I certainly can. I’ve always been very scared of movies involving stalking or preyed upon and this certainly fit the bill in that behalf. Zawe Ashton plays the more world-weary Alexa and she’s a nice counterpoint to the sweet and innocent Frances. She reminded me a lot of my last roommate who was sassy and quick to come to my defense. In many ways Greta is a horror movie made for women. It stars women and it relies on many of the insecurities women feel both in growing old and being young and vulnerable to get scares. A man may never know the fear a woman can have in just walking home or taking a subway ride depending on the situation. We sometimes like to pretend it’s the same for men and women but most women I know have more fears than men. Greta gets that. It also gets away with quite a bit because it is all women but a little bit of crazy makes this kind of horror movie more fun. I like a good table overturned in the fancy restaurant and the stalker acting like a crazy person. I’m in! Finally Greta is only 98 minutes. It doesn’t outstay its welcome and just gives us a creepy entertaining horror movie that had me engaged from beginning to end. If you can stomach the scares than I highly recommend it. The great thing about the Blind Spot project is you get to catch up on movies of great acclaim you missed out on when they were first released. Sometimes I end up loving the film in question and other times I’m left scratching my head at why the film is so beloved. This month’s movie, Garden State, I must admit is the latter experience. I was looking forward to it because I love quirky romances but it just did not do it for me at all. Then Andrew meets a young lady named Sam (Natalie Portman) who is a compulsive liar but only in the ways that make her adorable and precocious. I think her character literally created the term ‘manic pixie dream girl’. This would all be fine if they gave her anything interesting to do or say (ala Summer in 500 Days of Summer). Portman and Braff have decent chemistry but I just was not interested in their characters or anything that happened to them. The best thing about Garden State is the soundtrack featuring bands like Cold Play, The Shins, Simon & Garfunkel and more. That is definitely worth checking out. The rest of the movie you can give a pass too. It was definitely not for me. This year the lead up to the Oscars has been more than a little bit of a mess. Whether it is an announcement for ‘best popular film’ category or the choice to not air categories like editing and cinematography. However, what has been relatively drama free is who will win the Best Animated Feature Film award. This is perhaps surprising as the 5 nominees are all very strong films yet a clear winner has emerged in Spider-Man: Into the Spider-Verse. Let’s start with the least likely to win, Mirai, from famed director Mamoru Hosoda. It’s actually a huge accomplishment for Mirai to be nominated, as it is the first non-Studio Ghibli film to receive such an honor (a designation very frustrating to those of us who loved snubbed films like Your Name and A Silent Voice). And fortunately it is not just a token nomination as the film is a sweet journey into childhood. Recently my friend David said it was ‘the most creative animated film he had seen this year’ and he hates anime! 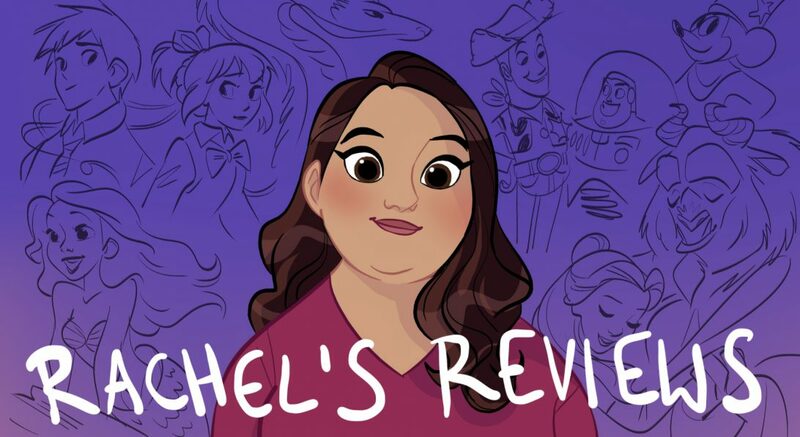 Our next most likely contender to win Best Animated Feature at the Oscars comes from Disney in a rare Disney Canon sequel called Ralph Breaks the Internet. This sequel to 2012’s Wreck-it Ralph avoids the potholes of most sequels by giving us something entirely new and it worked for me even better than the original! I loved the evolution of Ralph and Vanellope’s friendship and how they had to accept each other in new ways. I loved the humor especially the princesses (which I didn’t think I’d like) and we even got a surprise Alan Menken song! Still because it is a sequel and the response to it was dampened a bit by the release of Spider-Verse, it is unlikely to win (although never count Disney out entirely!). Coming up in 3rd place of most likely to win the Oscar is our stop motion animated offering from Wes Anderson, Isle of Dogs. Earlier in the year I speculated whether this was the most likely winners as the Oscars doesn’t tend to like sequels or animated superhero movies (and it has a long standing tradition of loving both Wes Anderson and stop motion). It’s such a sweet enchanting movie with incredible attention to detail. I love all of the dogs and the backgrounds are dazzling (the one pictured made out of pieces of glass is a particular favorite). However, the human sections aren’t as strong and some of the writing is a little clunky. Still, a delightful film from 2018 animation. My prediction for the runner up for the Oscar this year is Brad Bird’s follow up to his 2004 superhero film, The Incredibles 2. I love this movie and in any other year this would be a clear favorite. It’s not only funny with terrific action but it is a treatise on how hard it is to be a parent. Even Edna Mode says it best: ‘parenting when done well is a heroic act’. The reason I don’t think Incredibles 2 will win is because it hasn’t won any awards prior to the Oscars. Spider-Verse has won every major prize from the Golden Globes to the BAFTA’s. It would take a very bold ballot to pick this film to win but it wouldn’t be the first time Pixar has surprised everyone (Brave…) if it did. Still it would be a big shocker if it won. Finally, the clear favorite and most likely to win the Best Animated Feature Oscar is Spider-Man: Into the Spider-Verse. This isn’t just my opinion, but the opinion of critics, fans, and experts alike. In fact, there are a number of other publications out there that see Into the Spider-Verse as an incredible favorite. Like I said, it would be a huge shock if it didn’t win. It is not only a game changer for animated films and superhero movies, it also speaks to the Academy’s goals to honor diversity both on and off the screen. It honestly should have been nominated for Best Picture in my and many others opinions. So what do you think of the animated Oscar race this year? Am I too bullish on Spider-Verse? Do you agree with me it has been a strong year for the category? What other predictions are you making for this year’s Oscars? I’d love to hear in the comments section. It’s no secret that I am not the biggest fan of DreamWorks animation. Particularly their comedies are very hit and miss for me. However, the one consistently great series from the studio is the How to Train Your Dragon films. They are epic in scale but with sweet moments and the animation is always stunning. Now we get the 3rd and last installment entitled How to Train Your Dragon: The Hidden World (breaks continuity with the other 2 that had simple numbers in the title but oh well!). While I did have my issues with the film, it’s still a very sweet and lovely way to end the series and most fans will be very pleased with it. The story of How to Train Your Dragon: the Hidden World starts in Berk where dragons and humans are living peacefully with Toothless being the alpha or intermediary between the two groups. One day they find a new Night Fury (Toothless was supposed to be the only one) but this dragon is white and is a female, which of course is very exciting for Toothless. Unfortunately a dragon hunter named Grimmel is after the dragons and wants to destroy everything in Berk. I won’t tell you any more so you aren’t spoiled but there is a lot of action, romance, and some sweet moments of friendship. The strongest parts of How to Train Your Dragon: The Hidden World are in the animation and character moments. There is a particularly stunning sequence when they find the Hidden World and things look like under a fluorescent black light. It’s truly breathtaking. While I missed the flying sequences of the first 2 films (Toothless and Hiccup are separated or battling in most the movie), it is still a very beautiful film. Also we see growth from Hiccup as character as he comes to understand Toothless, Astrid, and even his father better through the course of the movie. A lot of the side characters who we have come to love during the movie including Astrid get nice endings and moments to shine. Some of the comedy with Ruffnut (Kristin Wiig) wasn’t my taste but the kids in the theater seemed to enjoy it so I may not be the target audience. My criticisms of How to Train Your Dragon: The Hidden World may not be an issue for you if you love fantasy adventure and action. Aside from slasher flicks, fantasy action is probably my least favorite. There are a lot of battles and fighting in this movie and I found them to be more than a tad dull. I know other people will enjoy them but I kept nodding off during these sections. You would think with all the flames and warfare it would be exciting but it isn’t for me at all. At the very least they were too long and repetitive. I would have much rather had less action and more flying sequences or time in the Hidden World, but that’s probably just me. Other than that I enjoyed How to Train Your Dragon: The Hidden World. It is a beautifully animated ending to our trilogy and one I bet you will find very satisfying if you loved the previous 2 films. Recently I have really enjoyed getting into some of the big blockbuster films from China. I particularly enjoyed Stephen Chow’s film The Mermaid (2016). Now we get the massive interstellar disaster movie The Wandering Earth directed by Frant Gwo which scored $300 million in China during its opening week alone. To my surprise my local AMC was screening it so I decided to give it a watch, and I’m glad I did. The Wandering Earth is big, loud, spectacle entertainment if I’ve ever seen it. It’s definitely convoluted and over-the-top but it embraces all these elements in an old-fashioned exuberance that made me smile. The style and special effects may not be as glossy as something like Geostorm (although it can be quite stunning in sequences) but all the choices they made gave it a charm and earnestness, which was very appealing. The story is based on a novella by Liu Cixin and it is set in a future society where the sun has aged and the Earth is in danger of losing its axis and source of light and power. In response the nations of the Earth band together to create United Earth Government and cities exist underground where oxygen and temperature can be monitored. They create a plan to use giant rockets on the earth to boost it out of orbit and move it over 2,500 years to a new galaxy with a new sun. A scientist at the beginning of the film named Liu Peiqiang (Wu Jing) goes up into space to lead the International Space station which is now responsible for navigating the Earth on its journey to the new galaxy. As you can imagine this plan is fraught with peril and Liu’s son Liu Qi (Qu Chuxiao), father-in-law Han Zi’ang (Ng Man-tat), and adopted daughter Han Duoduo (Zhao Jinmai) are left behind to try and run the rockets systems down on Earth. Unfortunately as the Earth passes by Jupiter it gets caught in the planet’s gravity and it starts to get sucked causing all kinds of problems they must solve. I could totally understand someone finding The Wandering Earth to be exhausting and frustrating. They throw a lot at you including a lot of characters, tons of destruction, loud music and big action set-pieces. They even have a portion where the artificial intelligence on the International Space Station turns into HAL from 2001: A Space Odyssey and tries to thwart the will of astronaut Liu. The subtitles are also very fast so you are not going to get everything and will have to fill in some of the blanks using your imagination. All that said, I’ve seen this type of spectacle entertainment done so poorly by the Roland Emmerichs and Michael Bays of the world that I found myself really enjoying this unbounded exuberant scifi film. It felt fresh by its unabashed insanity and enthusiasm. There’s just some time when you can tell that everyone behind a movie is trying really hard to make something great and it’s infectious. It kind of reminds me of the joy I felt watching the Baahubali films in 2017. It’s true spectacle entertainment, and I think that’s great! If you have any palate for big over-the-top scifi blockbusters I think you will really enjoy The Wandering Earth. Who knows? You might even find yourself cheering the Chinese on as they save the Earth from literal destruction at the hands of Jupiter! Hey everyone! Before I start my review I want to wish you all a Happy Valentines Day and share with you the annual valentine I designed. This year’s design is based on my recent selection as a critic at rottentomatoes.com. I even used the same color of green as the rotten splat is on their website. Happy Valentines! Honestly Alita: Battle Angel is a movie I probably wouldn’t have seen if I wasn’t trying to be a more well-rounded critic. Fantasy movies don’t tend to be my thing and most of the live action anime adaptations haven’t been great (although I did enjoy the recent Ghost in the Shell adaptation more than most). With all that said, I actually enjoyed Alita: Battle Angel quite a bit. Alita: Battle Angel tells the story of a cyborg (Rosa Salazar) with a fully intact human brain that is found by a cyborg scientist (Christoph Waltz) in the scrapheap. At first she can’t remember anything of her previous life but as she fights she gets back bits of that memory. In the dystopian world they have a sport called Motorball which is kind of like a grittier form of roller derby and it turns out Alita is a natural. If she can win the grand championship of the sport she can get to a special city in the sky called Zalem, which is where she originally came from. Alita also meets a boy named Hugo (Keen Johnson) and discovers there are assassins out to get her and her father. She can train as a ‘hunter-warrior’ to defeat these assassins but they are very strong and make things difficult for her and her friends. That’s all I will say about the plot. The strengths of Alita: Battle Angel is in Alita as a character. The giant eyes may be off-putting for some, but I adjusted to them quite quickly. Rosa Salazar and the motion capture animators do a really good job making Alita likable and endearing. She’s such an honest character in a dark world that you can’t help but root for her. I also liked her and Hugo’s little relationship quite a bit (you know I’m a sucker for romance!). It is also a beautiful movie with stunning world building. I saw it in 3D and I recommend it as it feels even more immersive than the flat images would on their own. Beautiful world building isn’t enough alone to win me mover but it is still a plus in the movies favor. The downsides to Alita: Battle Angel is I didn’t like the goons who were hunting Alita down. There are 2 main cyborgs, and I found both of them to be pretty grating. Also the middle section of the movie where most of the fighting takes place gets repetitive and dull. However, it picked back up with a strong finale so I can forgive the film. If you like action or scifi movies you should find more than enough to like with Alita: Battle Angel. It’s beautifully made with a charming and sweet lead character. Even if you don’t typically like sci-fi/fantasy you might like it with the teen romance, and sweet relationship between father and daughter. It’s true that some actors are wasted in bland roles like Mahershala Ali and Jennifer Connelly, but I still had a pretty fun time with the film. It has its flaws, but I was entertained more than enough to give a recommendation.